Known around the country as Chef Jeff, Jeff Denton is the author of four books and director and host of three different television shows. His latest children’s cooking show, “KIDchen Expedition: A Farm to School Series”, was launched nationally in the summer of 2012. For the past 26 years, Jeff Denton has served as the Director of Child Nutrition for the Ponca City Schools. He also served in the capacity of CFO for eight of the 26 years. 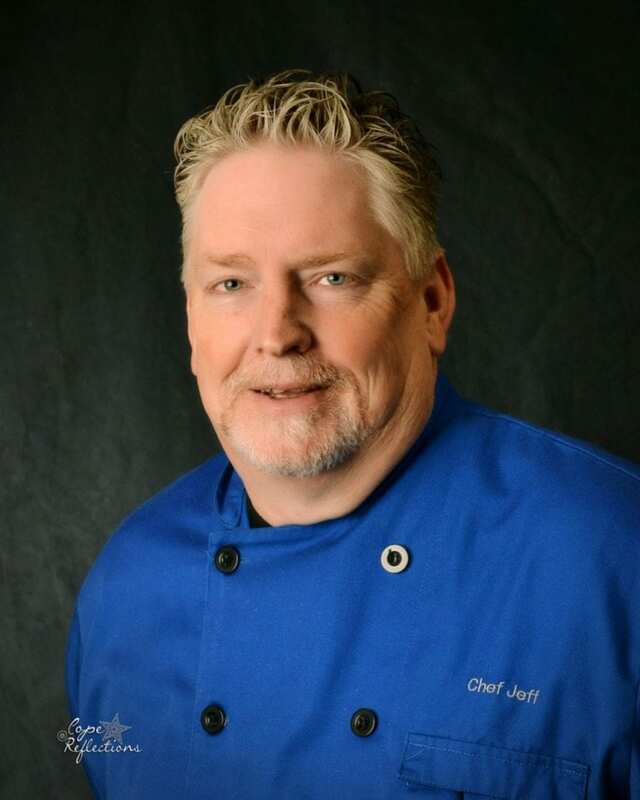 Recently, Chef Jeff was awarded the FAME 2015 Golden Star, Director of the Year Award. He was also named in the “TOP 10 Influencers” of the Food Industry by Food Service Director Magazine. You've worked in school food service for over 25 years, and you run your own restaurant that also features a catering service. What would you say is your area of expertise? I don’t consider myself a good cook, but I am well known for my food. I think of cooking like music. If you sing the right notes you’ll sound fine, but when you add focus and style it becomes easier on the ears. So just like singing or being an artist, certain things in cooking and combining flavors are instinctive. I create recipes; I don’t necessarily follow recipes. One of the areas I have a natural understanding of is what will pair well together. I get an idea of what might work by taking simple ingredients and enhancing the flavors. So I’d say my expertise is being able to see what goes together. Are there any creative solutions you found recently that solve a common foodservice problem? Layering flavors is very important, especially when you’re serving young adults who have very different palettes from adults. I’ve even found that allowing students to build their own textures, spices, and layers of flavor for their individual taste, especially for a main course or protein item, helps them to try different foods. For example, letting them build their own burrito bowls or sandwiches. The prep time may take longer but I’ve found that our participation is higher. What flavor trends are influencing your menu right now? Our focus right now is locally sourced items, as well as a lot of Vietnamese flavors and Asian trends. How did you get started? Were you always interested in food? Yes, when I was seven or eight years old I sold sandwiches to construction crews while my parents were at work. From a young age, I’ve always enjoyed and been passionate about food service. What is the most memorable meal you've ever had? Mid-Gulf Soft Shell Crabs, at a restaurant in Washington DC. Do you have any predictions on food trends in the future? Mobile food, food trucks are so popular, and it’s just my opinion, but I think we might see a focus back on animal protein. 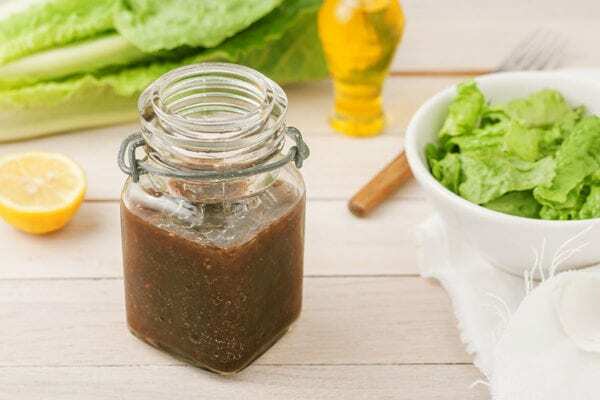 Grandma’s Salad DressingLayering flavors is very important, especially when you’re serving young adults who have very different palettes from adults. I’ve even found that allowing students to build their own textures, spices, and layers of flavor for their individual taste, especially for a main course or protein item, helps them to try different foods. 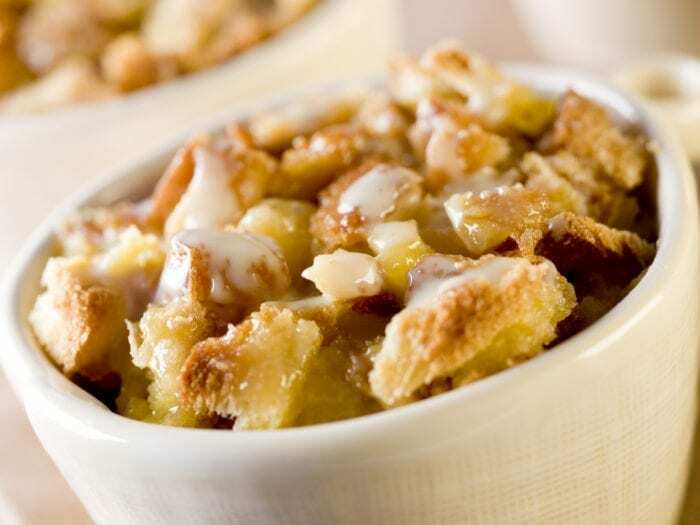 Non-Cook Bread Pudding By AccidentOur focus right now is locally sourced items, as well as a lot of Vietnamese flavors and Asian trends.